Campsite Le Val Saint-Jean is a campsite with 91 touring pitches. During low season, between 27-04-2019 - 05-07-2019 and 24-08-2019 - 14-09-2019, the nightly rate is €16,- at one of the 91 touring pitches at Campsite Le Val Saint-Jean in Mauriac (Cantal). At this campsite you can not only use your CampingCard ACSI for inexpensive camping, you can also use your ACSI Club ID (as an alternative ID). In natural surroundings between Dordogne and the Cantal mountains, you will be welcome to spend a pleasant holiday on this site with many entertainment options: leisure pool, swimming lake, water sports, adventure park, amusement park, laser games, treasure hunts, paths for walking. Very nice site with new toilet blocks which are kept clean. The campsite organises free activities such as kayaking on the nearby lake. They also have a good entertainment programme with activities on every day such as discos, table football and petanque competitions. Unfortunately, when we visited in August, no swimming was allowed in the lake due to the presence of blue-green algae. The municipal swimming pool next to the campsite is good though. 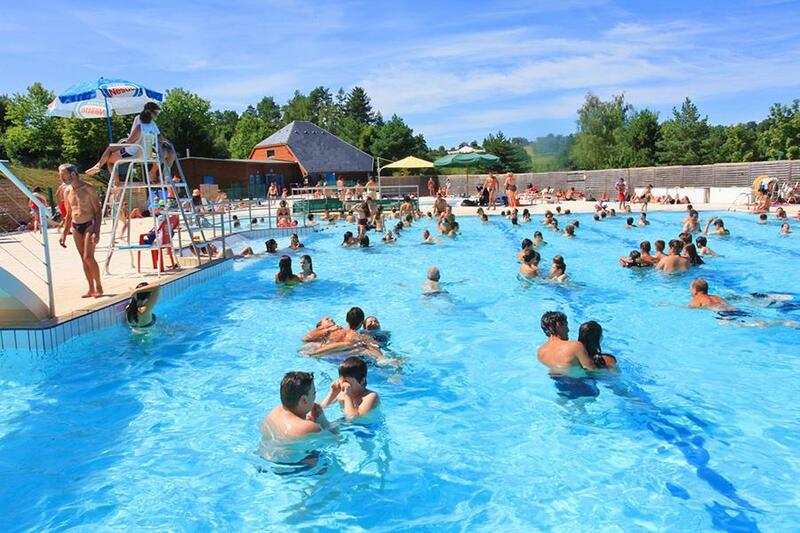 CampingCard ACSI will send your information request to "Campsite Le Val Saint-Jean".